Thomas Dunne Books, 9781250048073, 416pp. David de Sola is a journalist with experience working at CNN, 60 Minutes, and Reuters. His work has also been published in The Atlantic, The Huffington Post and other print and online publications. As a journalist, he has covered a range of stories including WikiLeaks, the War on Terrorism, the 2004 presidential elections, and the CIA leak investigation. He has filed stories from five foreign countries on two continents. He has a B.A. in history from Tufts University, a M.A. in print journalism from the University of Southern California, and a M.A. in security studies from Georgetown University. He lives in Los Angeles, CA. 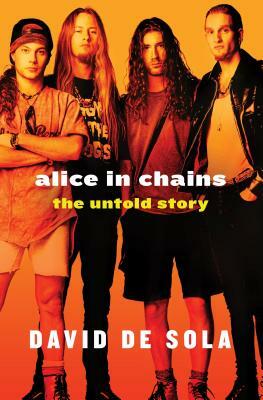 David is the author of Alice in Chains: The Untold Story.